Welcome to MV Circuit Design, Inc.
A Engineering and Design house founded in 1997, innovative leader in smart technology for the Mobile Cart Industry and first Patented technology Smart Drawer control ,firmware and software Modules imbedded in the Mobile medical dispensing nurse cart arena, MV Circuit Design Inc. developed the first battery remote and onsite monitoring system software and hardware and motor actuator controls for the Mobile cart sytem. 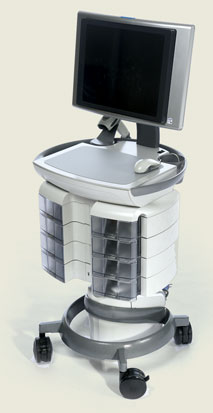 We developed the first Hippa compliant circuit and software for a mobile nurse cart, Our patented protected medication Drawer system controllers have been proven in the field with reliability and duration including software that was first to market that assign patient specific bin location medication and nurse accessibility and remote administration for a mobile cart. We offer our modular products to the market place as OEM to provide the proven reliable trusted market edge in the hospital environment. United States Patent 8,085,128 Issued December 27, 2011 to MV Circuit Design inc A device for selectively controlling access to a plurality of secure areas includes a driver circuit including a plurality of drivers, and a plurality of access modules each assigned to a corresponding secure area of the plurality of secure areas. Each access module is operatively coupled to at least one actuator operative to grant or deny access to the corresponding secure area. Unused drivers provided to a first access module of the plurality of access modules are cascaded to a second access module of the plurality of access modules. 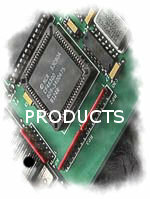 All information copyright 2012 MV Circuit Design Inc, Inc. All rights reserved.